The magic of the season of death has come to Mexico. Here in the beach town of Playa del Carmen, we’re getting everything ready for another year of traditions, color and culture for this Day of the Dead. Day of the Dead is an ancient Mexican tradition where the people honor their family members who have passed away. On November 1 and 2, the people of Mexico welcome the souls of their loved ones with altars, food and joy. In this country, death is celebrated with festivities and a sense of humor, creating an unforgettable event. The living and the dead join hands for two days, with faces full of color and smiles. 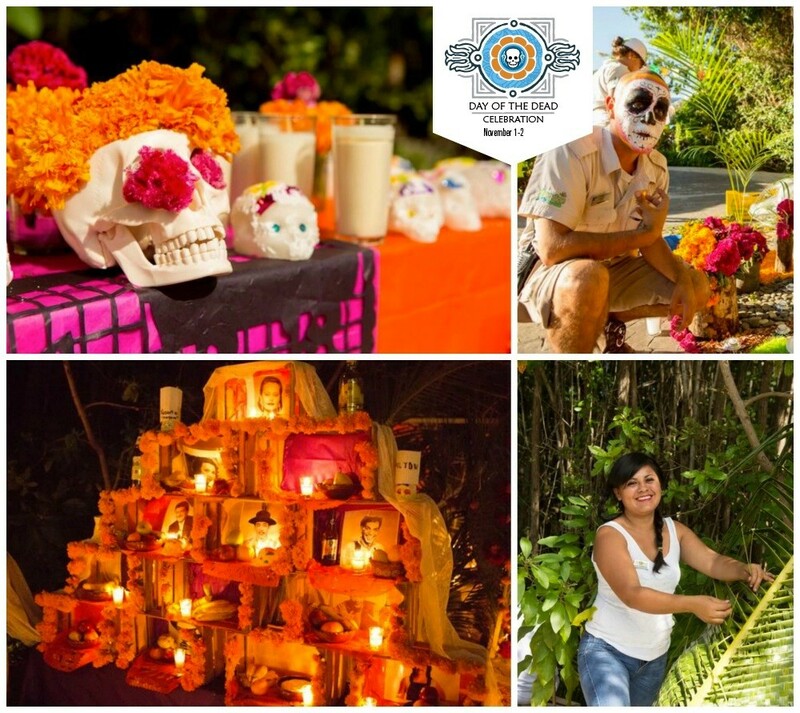 Sandos Caracol Eco Resort joins in on the fun every year with our Day of the Dead Celebration. If you’re staying at the resort on November 1 and 2, you’ll come across all of the traditional faces for this special time of year. La Catrina is the most famous character found in Day of the Dead festivities. 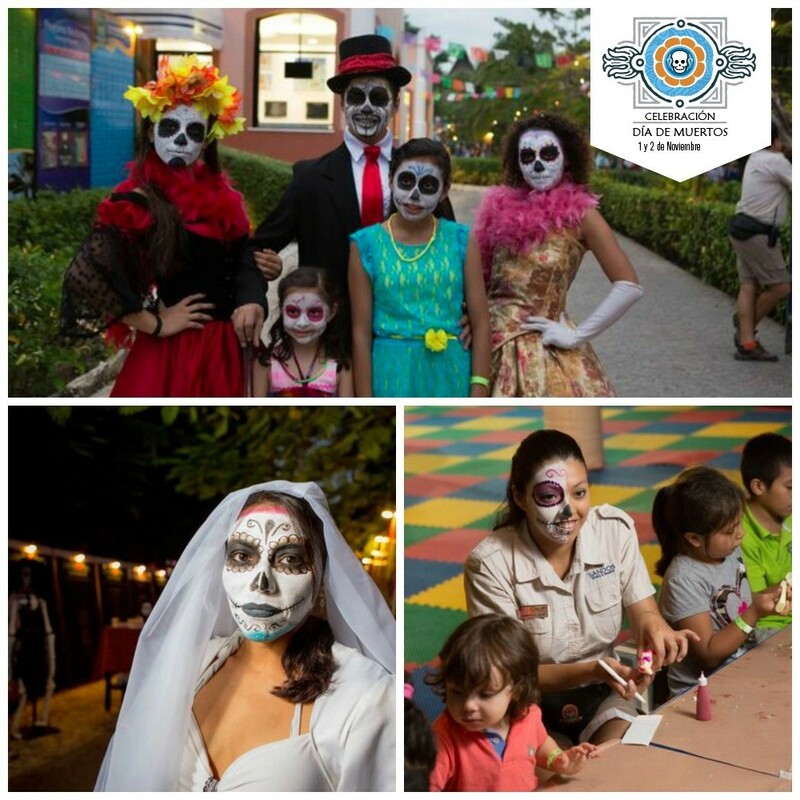 With a skull face, her beauty illuminates the paths of Sandos Caracol Eco Resort for this grand celebration. You’ll see her in the faces of our Sandistas (Sandos employees) and guests when you visit us for Day of the Dead. Every year, our Sandistas create beautiful altars to honor the souls of those who have passed on. Here, you’ll see the smiling faces of the Sandistas who build and decorate these altars, along with skull faces and photos of the deceased. 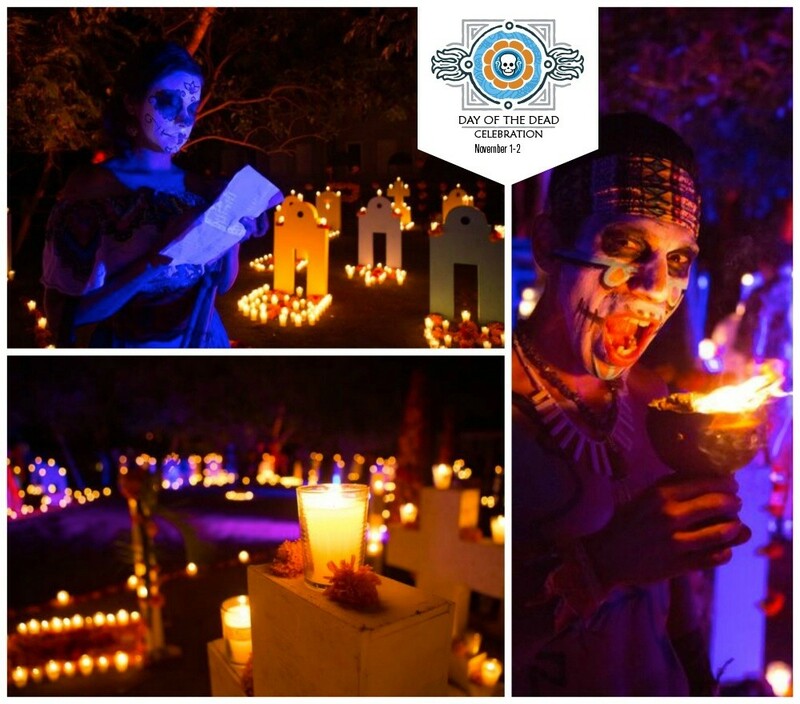 For Day of the Dead at Sandos Caracol, we create a Mexican cemetery that shines with the light of thousands of candles. Here you can spend an evening with the souls of the dead to honor them during this holiday dedicated to their memory. 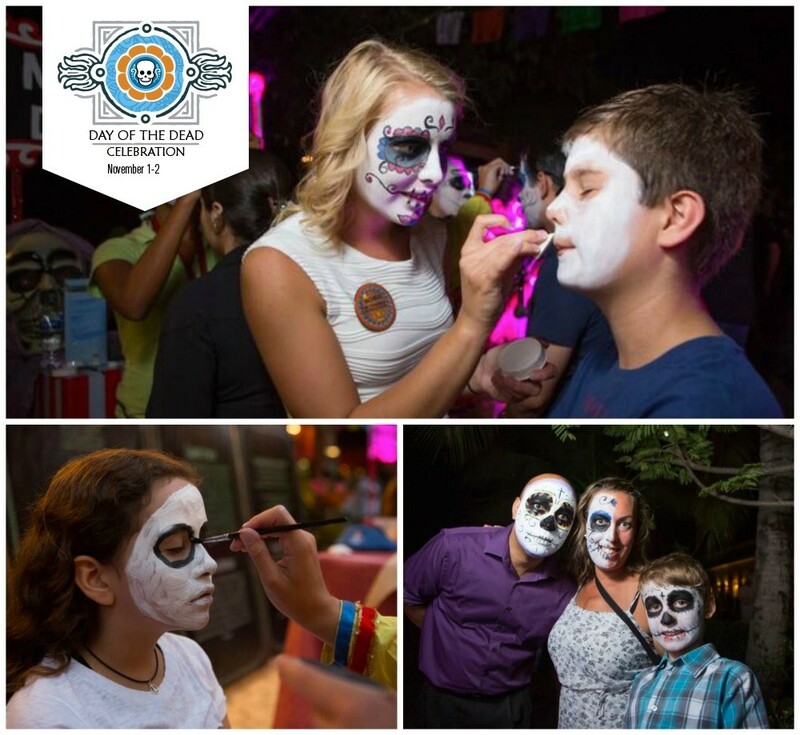 “When in Mexico, do as the Mexicans do.” During our Day of the Dead Celebration, we’ll have a face painting stand set up where we’ll paint our guests’ faces to help them fit in with the spooky style of our festivities. It gives us great joy to share with you the grand traditions of our country, which is why you’ll find so many smiles on the faces of our Sandistas at this time of year. There’s no better way to discover our love for service than to stop by our food stands. 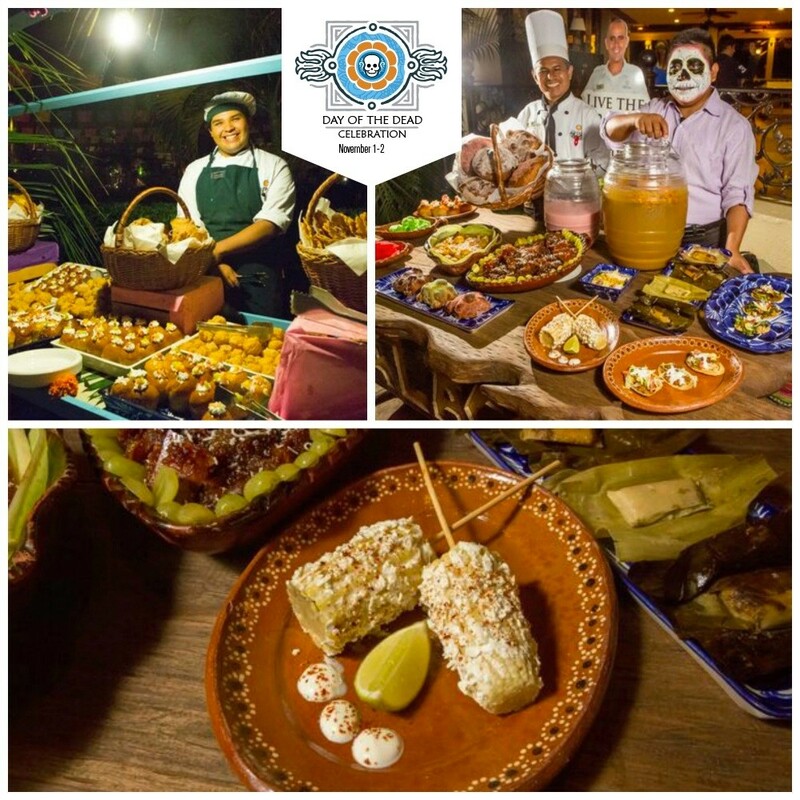 During our celebration, we’ll be serving up a Day of the Dead Dinner with flavorful Mexican cuisine. Meet the spirits of the dead on your next vacation! Come stay at Sandos Caracol Eco Resort on November 1 and 2 for our Day of the Dead Celebration. Here you’ll discover all of the different faces that make this time of year such a wonderful event. This celebration is one of our four annual events that honor Mayan and Mexican culture, all part of our All Nature Experience. We host special events to celebrate the equinoxes and solstices of the Mayan calendar, along with interactive activities every day of the week so you can learn more about the nature and legends of the Riviera Maya. For more details, visit us at our page. Our Playa del Carmen Resort Is Eco-Verified for 2017!